King Tut on Crosscurrents, 2/16 – Doggedly Yours… Howling, Humor, and History. 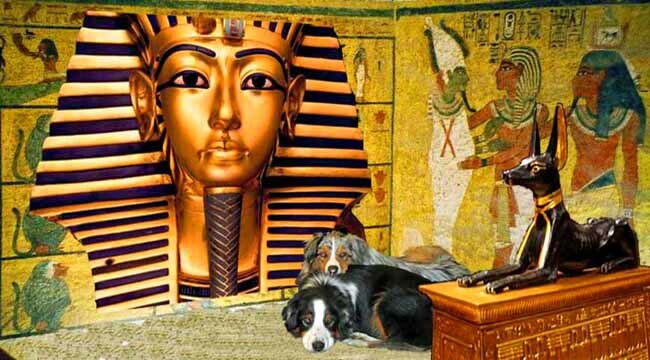 The 3,000 year old burial chamber of Egyptian pharaoh King Tutankhamun was unsealed by English archaeologist Howard Carter who entered the tomb on this date in 1923. Gavin and Wyatt are encircled by golden jewels from the Nile River Delta while John is surrounded by boogie-woogie from the Mississippi River Delta. You are invited to float down the Nile River with Mississippi Delta Blues by tuning in Crosscurrents 2/16 at 8 a.m.